Simon’s food blogger panel is Helen from Grab Your Fork, Trina from Gourmet Forager and myself from noodlies. We’ll be talking about great food in different ‘regions’ of Sydney. 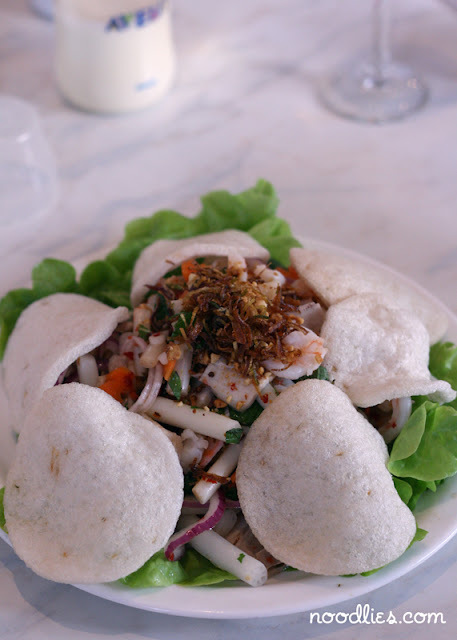 Noodlies Sydney food blog is covering the new and emerging food hot spot of Canley Vale and Canley Heights, as Simon calls them ‘The Canleys’. Here are some highlights in case you miss it or wanted to get more info about our conversation. These areas are great areas for family dining, especially dinner. Vietnamese salad above is made with lotus stem – from Hai Au. 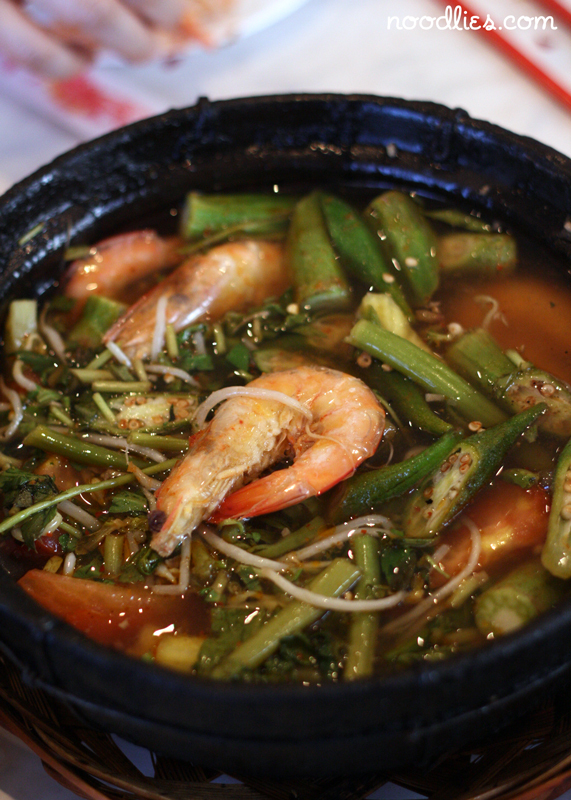 Vietnamese sour soup is particularly delicious, both sweet and sour with fresh prawn and one of my favourite vegetables, ochre. Thanh Mai in Canley Heights makes one of the best sour soup around. 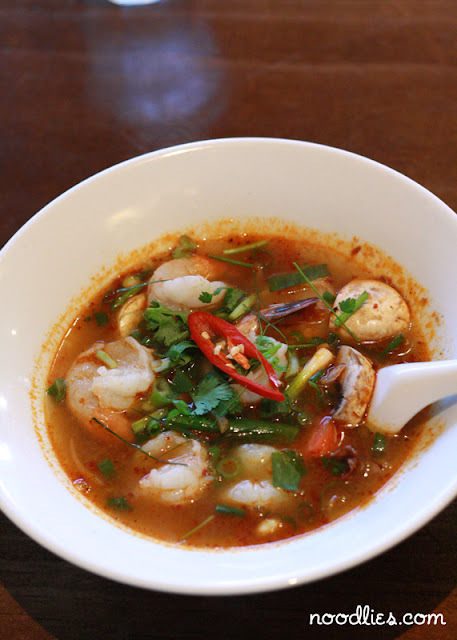 There’s great Thai-Lao in the area too and Holy Basil in Canley Heights is one of the most popular in the area, the picture above is their version of Tom Yum. Other great Thai Lao in the area are Twelve Spices and Yum Sab. 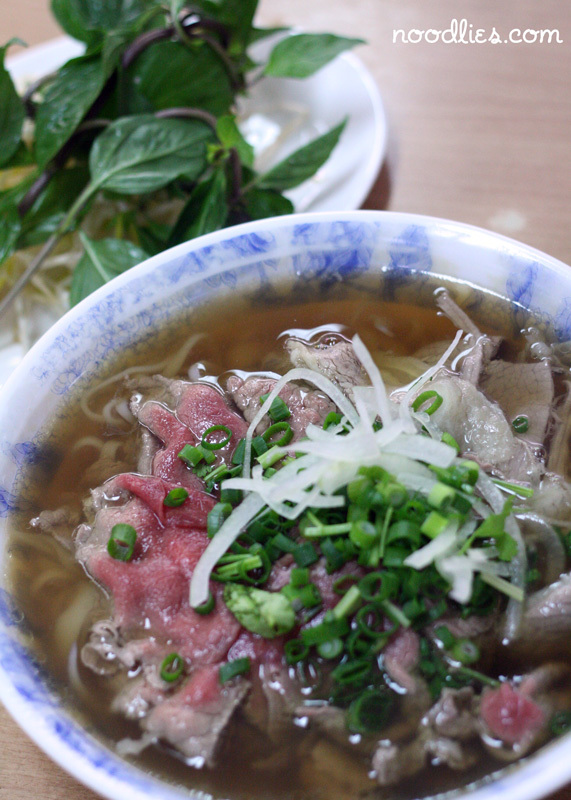 This dish is simply the pho rice noodles in soup with usually beef and topped with onion, spring onions. Sides that comes with a bowl of pho include basil, bean sprouts, chilli and a slice of lemon or lime. Hoisin sauce, fish sauce, and sometimes even sugar are added to taste at the table. Video Guide:How to eat Pho? 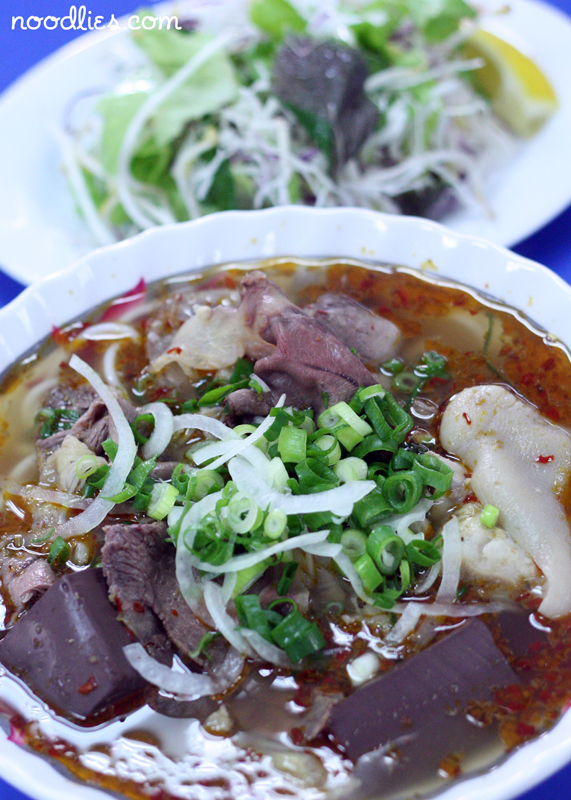 Hu tieu is a Cambodian-Chinese rice noodle soup. You’ll get noodles with a range of meat (be warned some are offal, but I think you should try it as they’re not bad!) and in delicious clear soup. You can have it dry as well, where the soup comes separate from the noodles as you can see in the video above. Egg noodles work so well with bbq meat including pork, duck or chicken. U.E. Chinese Restaurant has been serving egg noodles for over two decades. It’s also one of the hardest restaurants to find. Use the video above to help you track it down. The other egg noodle institution in Cabramatta is Tan Viet, famous for the crispy chicken egg noodle. The noodles here are like udon and the sauce is the spiciest with chilli and lemongrass. There’s a lot of pork, including trotters as well and congealed blood. fantastic, listening to you as I type! Wow Thanks that's true multimedia ! haha congrats on all the radio work.. ur become very famous!! Shucks.. thanks Dolly, your dad is so sweet!